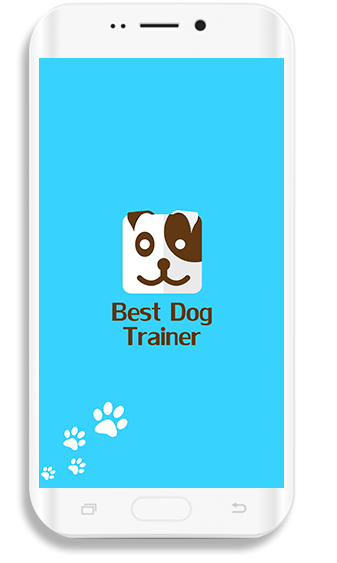 "Best Dog Trainer” is the most useful app for raising a dog. A set of good instruction is required for raising a well-trained dog. 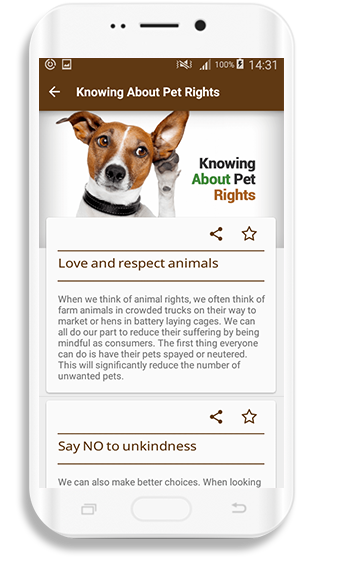 This app offers best tips for training a dog in such a way that the dog owners would no longer find it difficult. The first and the most important thing about this dog training app is that it is very easy and adaptable. This app allows you to sit at home and train your dog. You do not need to put extra efforts on the training of your dog. This is a quite easy to practice app which enables everyone to raise a well-bred dog. It gives you different tips and tricks to assist you in training your dog. 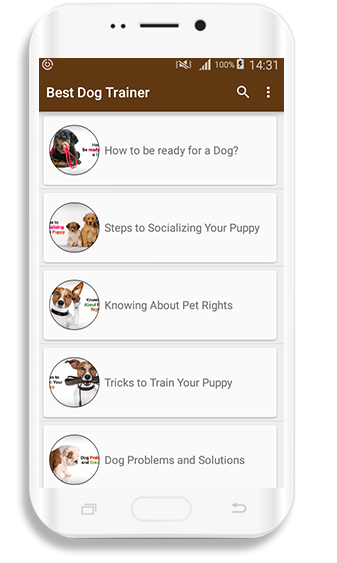 This android app contains well-designed and accepted methods with clear and step by step instruction for the training of your dog. This app contains information about the tools which are required for the training of your dog in a friendly way. And the best part is it’s easy to use! It also provides the information about the training of humans and the rights of the pets, problems of the dogs and their solutions.